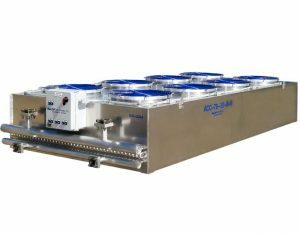 For over 35 years, Malnar Industries has provided expertise in the field of custom-designed & manufactured Ammonia and Freon refrigeration systems for industrial/ commercial applications. Malnar Industries experienced service technicians provide 24-hour emergency service and on-site maintenance for a wide variety of refrigeration systems. Malnar Industries originated in Winnipeg, MB 35 years ago and has grown to be a preferred supplier of aluminum refrigeration coils and Ammonia related services for the Industrial, Commercial & Food Production sectors in North America. In 2015, Malnar Industries Ltd. relocated to Steinbach, MB, to take advantage of a new 11, 200 sq. ft. facility. 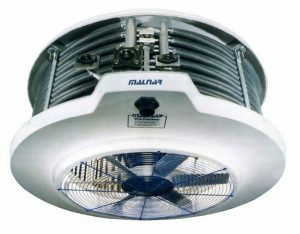 Malnar Industries provides extensive expertise in Ammonia refrigeration design, engineering, installation, service and maintenance. We are proud to be a partner in the Penn Lite Group of Companies that help us supply Industrial, Commercial and Residential customers with the entire scope of refrigeration, electrical, mechanical, and gas fitting services. Malnar Industries provides in-house design/fabrication of our products with Engineering services that draw on 35 years experience in most aspects of the North American market. Project Design/Installation/Management services that work hand in hand with Engineers, Consultants, Contractors and end users to ensure the target objectives are met. A strong service division that provides 24/7 hands-on solutions for all of your service/maintenance needs. Our integration in the Penn Lite Group of Companies allows us to cover all of the service needs of the customer. We have the capabilities to fabricate/repair/rebuild a wide variety of heat transfer products. engineering team works hard to confirm the product we supply will meet the actual requirements. 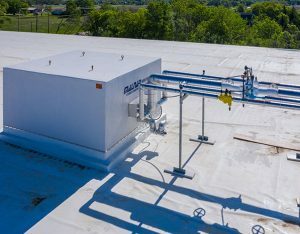 Malnar Industries has worked with many Contactors/Clients and End users over the years, providing efficient reliable cooling systems for their production, packing and storage needs.